Big Dipper is a Chicago-born, Los Angeles-based recording artist. His big boy style, outrageous songs, and live shows have made him the go-to bear of raunchy internet rap. Big Dipper has an extensive catalog of viral music videos and songs, including his 2017 ode to sparkling water "LaCroix Boi". Known for his creative video concepts, you can find him portraying a ravenous boy scout in "Meat Quotient", an oversized banana in "Chunkita", a mermaid in "Vibin", and much more on his YouTube channel. Noisey called Big Dipper's life "an ongoing party full of...cute outfits, fierce rhymes, eating candy behind DJ booths, and a ton of hard work". A perfect description for the rapper and DJ, who delivers an impressive stage show that features choreographed dance routines, costume changes, and twisted song covers. Big Dipper's live show has been performed all over the United States, Canada, Australia, Iceland, France, Amsterdam, and Sweden. Big Dipper has been featured in Details Magazine, Huffington Post, Next Magazine, Pitchfork, Out, Rolling Stone, A.V. Club, NPR, Paper, and Red Eye Chicago; not to mention a YouTube series with WOWpresents, his poppin' Instagram feed, and as a host for Streets by VICE. Big Dipper can also be heard co-hosting his podcast "unBEARable with Big Dipper and Meatball" on Revry, and his music can be streamed on all digital platforms. 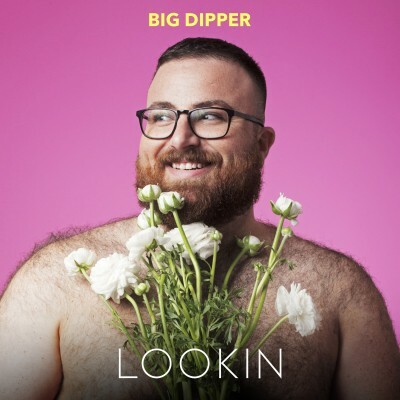 As a recording artist, Big Dipper has written for and performed with such artists as The AAA Girls, Peppermint, Cazwell, Shea Coulee, TT the Artist, Mister Wallace and ShowYouSuck. Big Dipper's soon to be released album, 'Late Bloomer' will be his first full length, out 8/24/18.